The AR-75 is a 75 W portable, automatic band-switching RF booster amplifier designed for use in multi-band VHF/UHF tactical radio equipment employing legacy, proprietary, and emerging waveforms. This second generation, redesigned unit covers the 30 – 512 MHz frequency band and utilizes six high speed auto switching filters to ensure harmonic suppression. 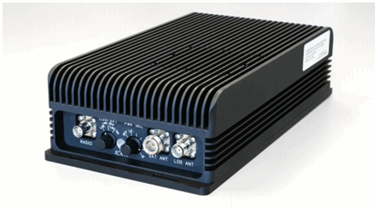 This AR-75 amplifier features a slimmer, lighter, and lower-profile design, power supply voltage spike suppression, a DC/DC converter for wide DC input range, RF sensing, T/R switching, automatic level control (ALC), and protection against antenna mismatch and over-temperature and accidental polarity reversal. This device is housed in a rugged 2-piece aluminum case and is SINCGARS, HAVEQUICK, HPW, DAMA, IW, WNW, SRW and ANW2 compatible. For more features and specifications on the AR-75, download the datasheet.